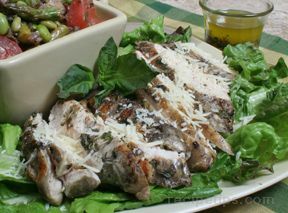 Simple but delicious, this grilled chicken recipe features the distinctive flavors of lemon thyme and basil. 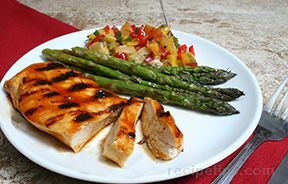 Serve it with rice and a garden salad, or RecipeTips' Spring Vegetable Medley, for a great meal on those occasions when food preparation time is limited. 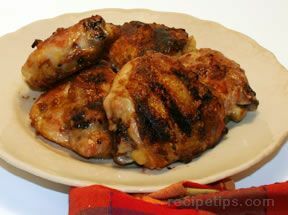 Season breasts with black pepper. In small bowl, mix together olive oil, basil, and thyme. Brush both sides of breasts with oil mixture. Grill chicken for about 8 minutes each side, depending on thickness of breasts, until no longer pink in center. Serve with spring vegetable medley. Garnish with parmesan cheese as desired.